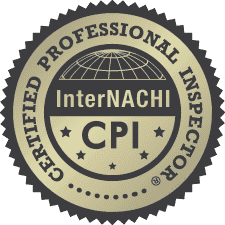 St. John’s Home Inspections, LLC offers top-to-bottom home inspection services to the Portland metropolitan area, complying with the rigorous Standards of Practice as written by InterNACHI and ASHI. 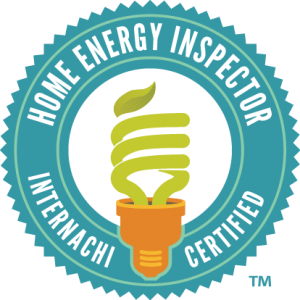 Our completely non-invasive inspections draw from an extensive knowledge of home components to educate you on the quality of your current or prospective investment. Our residential property inspection involves a full visual assessment of the readily accessible areas of a home. St John’s Home Inspections uses a moisture meter and infrared thermography whenever necessary in order to provide a more accurate diagnosis of certain issues—such as moisture intrusion, electrical hotspots, and sources of energy loss. Each inspection is followed with a detailed digital report that will be available by login within 24 hours. Make sure you’re well informed about the condition of the sewer line from the home to the city main. It’s highly recommended that a sewer scope be performed in addition to most general home inspections – It’s one of the most important inspections a buyer of older homes should conduct. Sewer scopes involve inserting a video camera into the sewer line through the sewer clean out. By reviewing the real time footage, we’re able to assess the condition of the pipe and identify potential issues with tree root intrusion, cracks, blockages and leaks. Radon is a radioactive gas that originates deep underground due to natural breakdown processes of rock and soil. Radon is both odorless and invisible, making it difficult to detect when it rises above the surface. If radon is able to infiltrate a home, it can cause numerous health problems for residents, including serious lung maladies. To make sure that your current or prospective home is safe, we’re trained in the detection of radon, using the advanced equipment necessary to measure concentrations of this dangerous gas. As of January 1, 2018, you need a Home Energy Score if you’re selling a single-family home or townhome in Portland, Oregon. The City of Portland, requires sellers to obtain a Home Energy Report, including a Home Energy Score, from a licensed Home Energy Assessor. Both the report and score must be disclosed prior to publicly listing the home for sale. If you’re not sure if your home falls within Portland city limits, you can easily check by entering the street address in portlandmaps.com, then check to see if the jurisdiction is listed as “Portland.” During the assessment, the home’s heating and cooling equipment, ductwork, water heater, insulation, windows and roofing are examined and collected data is entered into a program. A score of 1-10 is generated, as well as recommended improvements that can raise the home’s score and increase efficiency. St. John’s Home Inspections has a proven track record for exposing hidden or underlying issues for investors and HOA’s alike. With strong roots and expertise in NW building envelope practices, you can count on us to identify potential defects that will be critical in making educated financial decisions. Our thorough digital reports complete with infrared (thermal images) will provide you with a solid understanding of the properties condition. 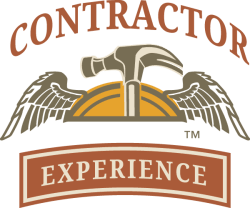 If you’ve invested in the construction of a brand new home, it’s a good idea to hire the services of a third-party inspector before the building contractor has left the jobsite. We’ll conduct a thorough assessment of all finished structural components and installed mechanical systems to ensure that there are no design flaws or safety issues that need addressed by the builder before the job can be considered complete. Your new home likely came protected by a 1-year warranty from the builder, and it’s important to make sure that everything is in good condition before that first year is up. In an 11th Month Warranty Inspection, we’ll evaluate the overall condition of the home and its installed systems to make sure that there are no defects present. If we do uncover any issues, this gives you an opportunity to use your warranty agreement on qualifying repairwork so that you don’t get stuck with the bill. A quality home inspection is just as important for sellers as it is for buyers. Before you list your home, let us take a look to determine if there are any defects present that may affect the value of your property or alter a prospective buyer’s perception. This gives you a chance to schedule any repairs that you deem necessary in order to foster trust with a buyer and prevent stalled negotiations once your home is on the market. Has St. John’s Home Inspections already performed an inspection for you? Did we recommend any repairwork or improvements for deficient areas? If so, we’re happy to offer Re-Inspection services once those needs have been addressed. We’ll look over any repairs to make sure that they’re up to par and pose no safety hazards to residents. St John’s Home Inspections, LLC facilitates the buying or selling process by providing high-quality inspection services that educate, empower, and protect. Contact us today to request your appointment.